I could have flown, a journey which would have taken an hour. 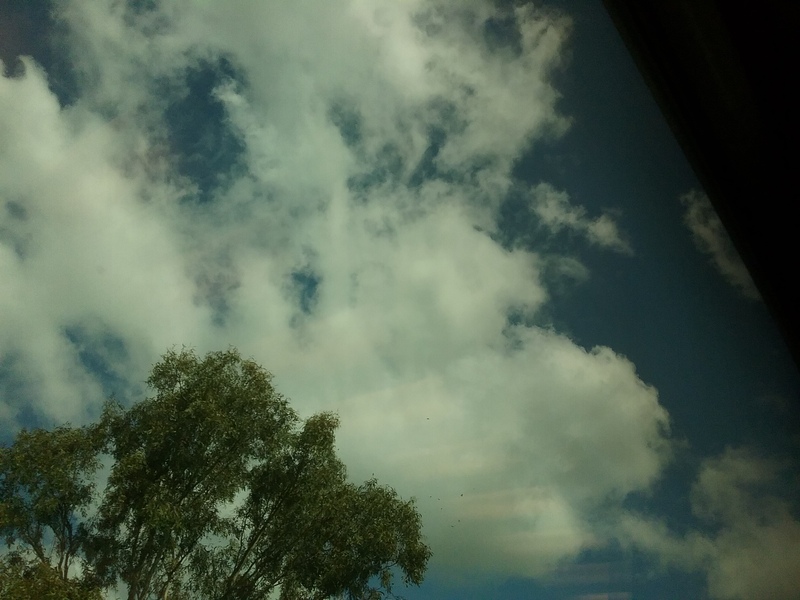 Instead, I took a train from one city to another, a journey of eleven hours in total. I usually fly around the country but this time I decided to take advantage of a cheap voucher I’d been given and take the long way to Melbourne, my destination. 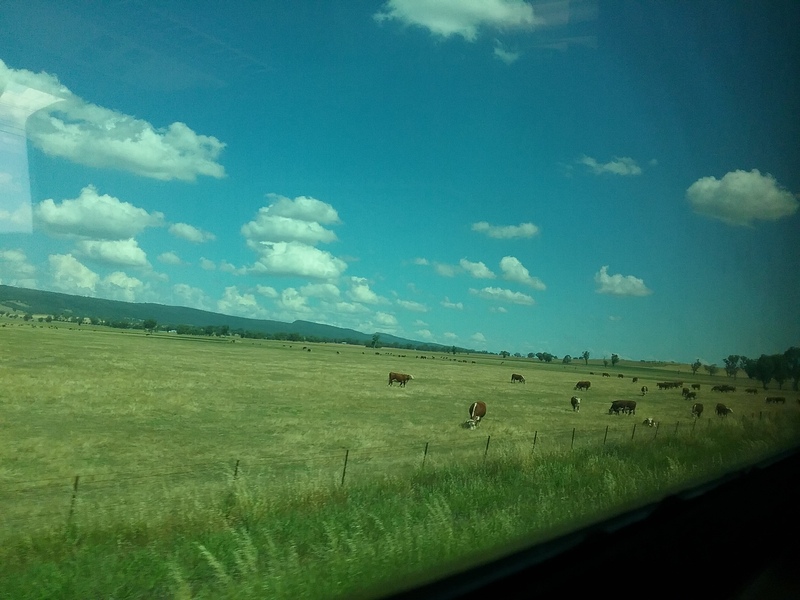 Every new journey is an opportunity to reflect on past ones I hadn’t taken such a long train journey in ages and as I mentally settled in, I recalled my regular commute from the Blue Mountains to the city for work, an altogether different purpose for travel. Though I enjoyed the spectacular views quickly glimpsed at Glenbrook, Woodford and Wentworth Falls, my mind was always elsewhere and my body fatigued. 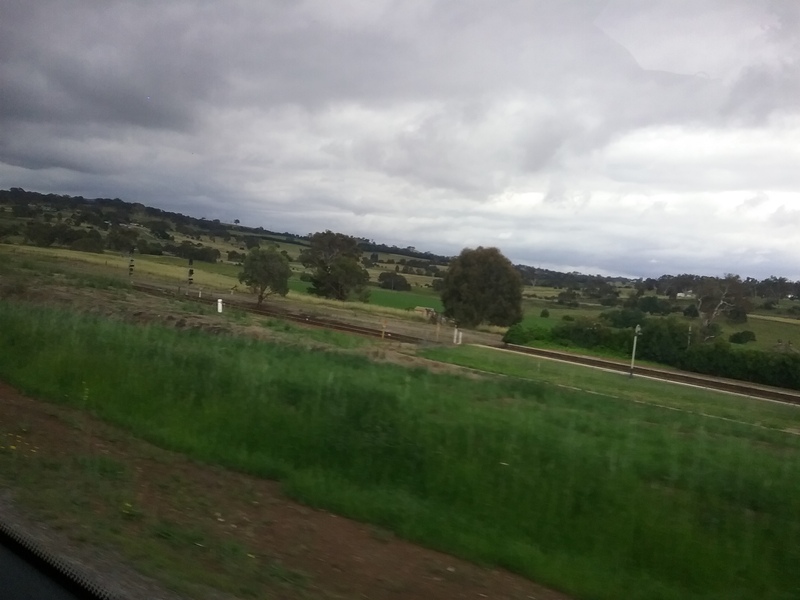 To catch the train to Melbourne from Canberra I travelled by bus to Cootamundra, joining the Sydney XPT at the station. 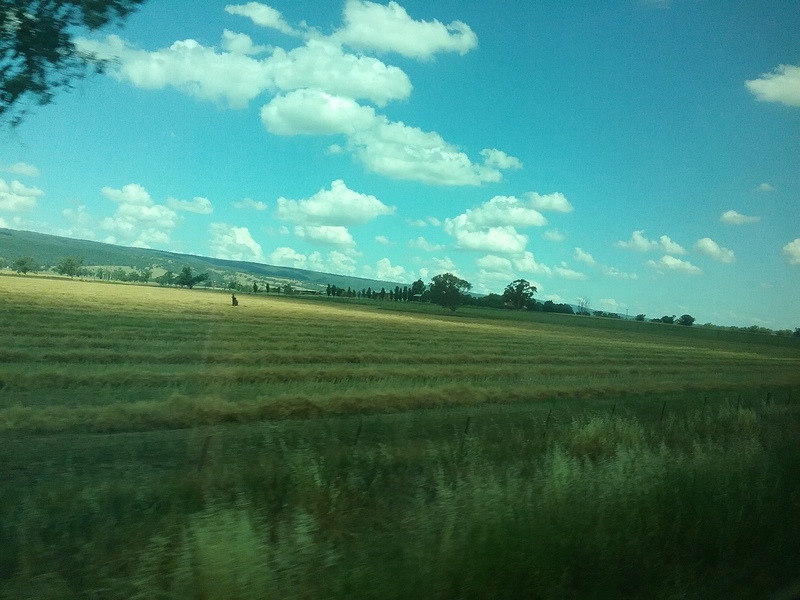 The bus took us through the green hills, pastures and small towns of the Capital territory and country New South Wales. Months of drenching rain had produced a velvet green landscape as we bumpily drove through thunderstorms and lightning. I looked around at the mixed bunch of my fellow travellers and wondered at their stories and reasons for travel. The previous day my daughter in law and I had a philosophical discussion about perception. Of course this was set around the million concurrent domestic chores and childrearing responsibilities. It’s good to juxtapose the deep and meaningful with the trivial (the chores I mean, not the children).She had sent me a copy of an Canon advert where photographers were given an assignment. Provided with one or two facts about a person they were asked to take their picture. What they were told about the person-they were a millionaire, a convict, homeless, had just saved someone’s life-completely influenced each photographer and produced vastly differing photos. Same person, different perceptions. These are the conversations you reflect on more deeply when you are bounced out of your comfort zone by the wheels of travel. 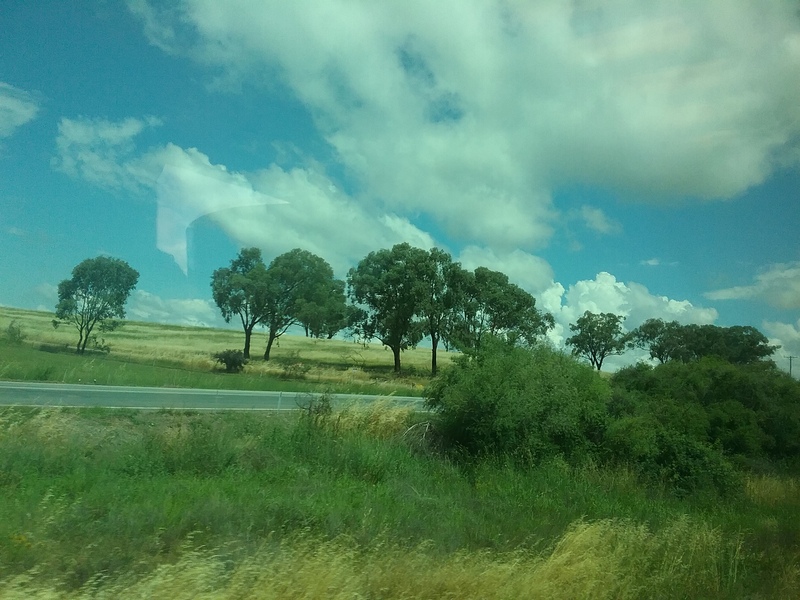 I had noticed a very thin woman with dirty jeans, grubby bra straps, looking older than the age of her flickering eyes, as soon as she got on the bus at Yass and wondered at her story. She left the bus in the drenching rain wearing no protection at the charming little town of Galong . I’d come to the conclusion that she had been living rough and was returning to the comforts of home as I saw her walking down a wide country lane. Then I noticed the sign ‘Retreat Centre’. Was she going to the centre to recover from an addiction? Perhaps she was an ascetic who didn’t care about appearance or perhaps a master teacher of deep truths. 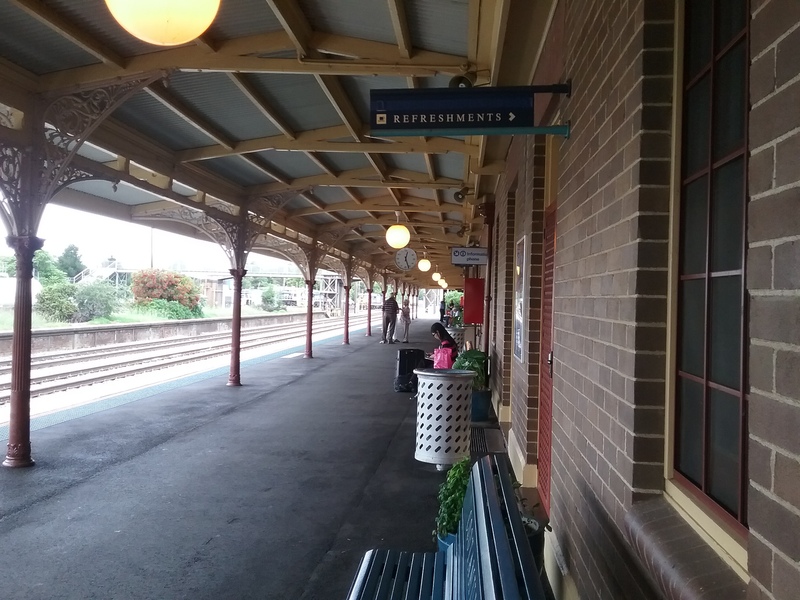 At Cootamundra station I met a lovely Canadian couple about to start their first house sit in Australia. It was great to share stories and pass on useful information. I also witnessed the casual racism that still exists in parts of the country at the old fashioned cafe. The train was late and packed with people young, old, tourists, and locals. I settled into my seat and watched the landscape change to a crisp brown. 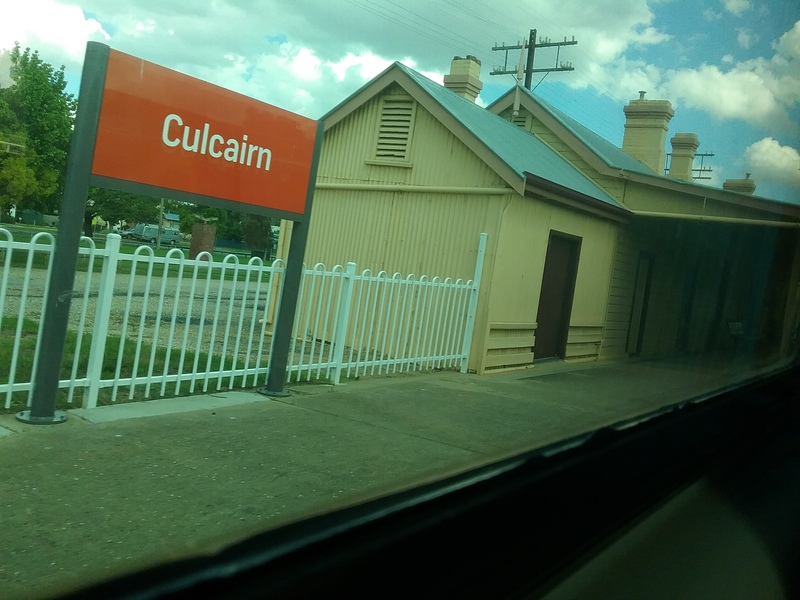 The names of the towns became harder, ‘The Rock’ ‘Culcairn’ and the land became browner as we stopped to let a few passengers off at the townships along the line. You ca6nt help but reflect on what it must have meant to have the railway pass through your town before the accessibility of air travel. 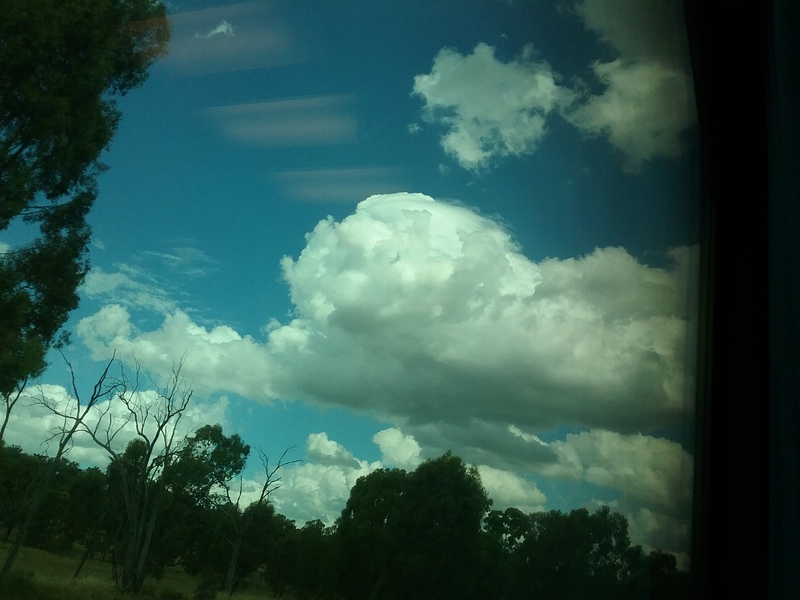 As the train sped across the land, frightening roos and sheep grazing nearby, I looked at the big sky, at times occupied by clouds, at others a startling blue. In a plane you become detached not just from earth but sky as well. 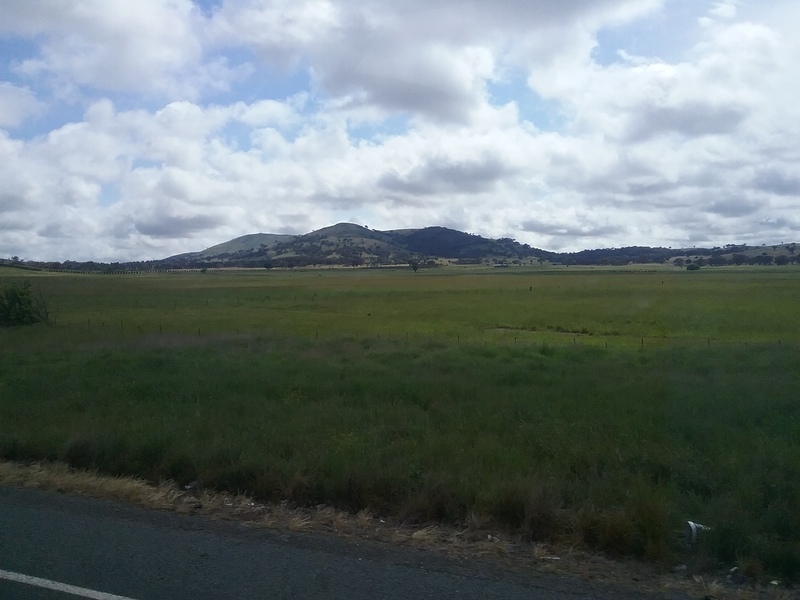 When the earth is glimpsed, its a distant, distorted view of the land As we crossed the border at Albury we started to move through the drought ridden plains of country Victoria. People were dozing now, tired from the already long journey. The Melbourne skyline came into view as we slowly shunted into Southern Cross Station. I had another train to get before finally arriving at my destination. The journey had given me time to write and reflect, to see the changing landscape of country New South Wales and Victoria, but next time I would fly.